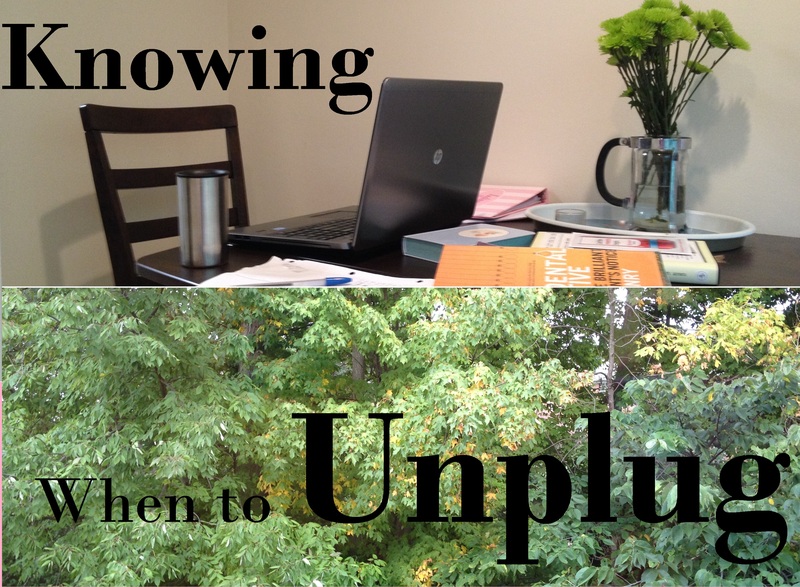 I’ve been having trouble unplugging lately. I work most of my day at a computer, bowing out of the office for a half hour walk at lunchtime, and arrive home and immediately boot up my laptop while cooking up some dinner. Most days, it’s my personal laptop instead of my work laptop, but still – this adds up to about 75% of my day being behind a screen. Many Millennials are seeking jobs that offer an emphasis on work/life balance, and luckily for me, I feel I’ve found one. However, that doesn’t take away from the fact that I’m constantly on my computer or phone. What happens when this constant connection gets to us? Headaches. Trouble concentrating. For me, my happiness levels drop and I become tired without having actually done anything. When do we stop? Ideally, before this all starts! Some of my best evenings have been where I’ve failed to charge a laptop so it winds up dead and unusable, or when I have forgotten my phone in the other room (or even better – at home). Read a book. A what? A nook? No. A book. Sit on your patio or go find a bench or a grassy spot in a nearby park. Spend time in silence, reading whatever you want to read – you’re not in school anymore! You have the time to choose your own textbooks and novels now. Nature, as much as possible. Even if it’s a few trees and a pond in the middle of an office park. My 30-minute walks at lunchtime are always a wonderful way to rejuvenate myself before finishing up a day of work. As a disclaimer, though, I do usually spend the time talking on the phone with a member of my family. I consider this second-best to in-person socialization, but since I’m not looking at a screen, I count it as being unplugged. Technicalities. Spend time with animals. Stop texting while you’re half-heartedly petting your dog. Pet the dog like you mean it. Like you’re not a robot. My rabbits sure know when I’m not paying attention to them, and they take full advantage (my carpet is in tatters – another story for another day). Cook dinner. I’m so anti-boxed foods these days. First of all, I’m scared of the weird, unpronounceable ingredients. Secondly, I cherish the time I get to spend away from screens and interacting with raw, beautiful vegetables. Is that just me? It might just be me. Sit in silence. Do it alone. Do it with a friend, a significant other, a stranger. I don’t care. Just sit in silence and take in the noises around you. Immerse yourself in the real world, instead of lightly treading through a weird, digital reality. Practice listening and being a spectator instead of being actively involved with commenting, following, liking, emailing, chatting, etc. This is my biggest challenge. Silence makes me, and many people I know, uneasy. I can’t say that I practice all of these every day. I can’t even say that I practice some of these some of the days. All I know is that these screens are starting to get to me, and I desperately need to make time to unplug. How do you skip the screens? Currently trying to finish crocheting a sweater before I head back to Indiana. You know, normal weekend stuff.